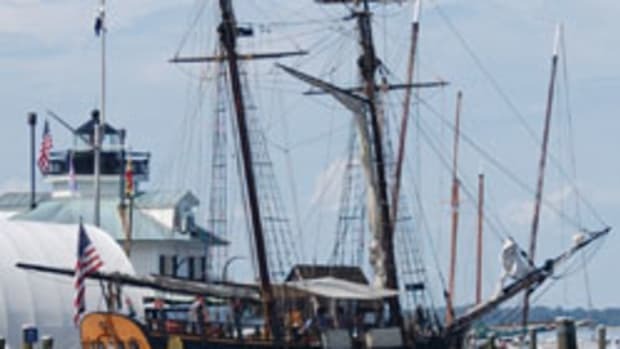 Replicas of two of Christopher Columbus’ ships, the Niña and Pinta, are set to dock at the Chesapeake Bay Maritime Museum in St. Michaels, from May 10 through 18, with boarding opportunities available to the public. The ships are operated by the Columbus Foundation out of the British Virgin Islands. The Niña is an exact replica and was built completely by hand and without the use of power tools before her 1991 launch. The Pinta, an authentic reproduction of Christopher Columbus&apos; ship, was launched in 2005 in Valenca, Brazil. She is a larger version of the archetypal caravel and offers larger deck space for walk-aboard tours, private parties, and charters. Both ships tour together as a sailing museum dedicated to educating the public and school children. Onboard exhibits highlight the history of the Age of Discovery, navigation of the era, how the ships were built, and a taste of what life was like more than 500 years ago.